Please note that this website is no longer being updated. 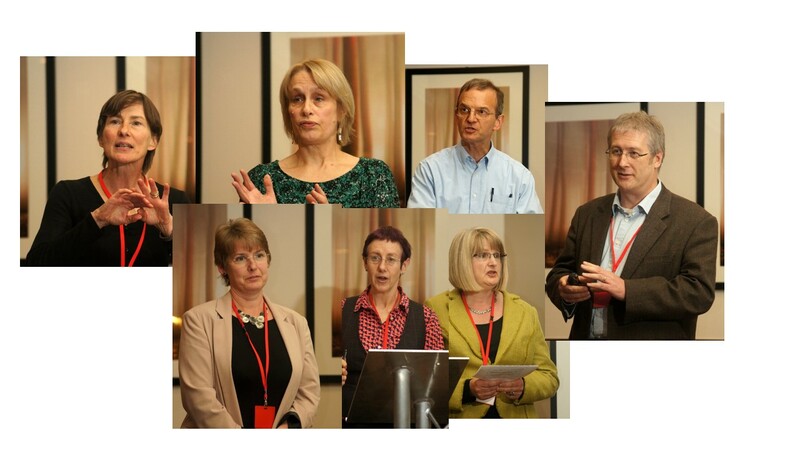 The Cambridgeshire and Peterborough CLAHRC came to the end of its 5 year funding in December 2013. In its place, a new CLAHRC for the East of England (CLAHRC EoE) came into being, which started on 1st January 2014. Click here for our new CLAHRC EoE website. Welcome to the Cambridgeshire and Peterborough CLAHRC. We are a collaboration of academic researchers, clinicians and managers who undertake high quality applied health research focused on the needs of patients and service users, supporting the translation of research evidence into practice in the NHS and social care. Read the digital edition of our latest CLAHRC CP brochure. My Name is Joe is an animated film produced by 11 children in care, and is part of the Cambridgeshire and Peterborough CLAHRC project to develop mental health training for foster carers. The young people involved in the making of the 4 minute film have all been nominated for special awards at the Childrens’ Service Annual Awards. You can see My Name is Joe on You Tube, and you can also watch My Name is Joe: Behind the Scenes, a short documentary which gives insight into the background and the making of My Name is Joe. Supported by a team of professionals from CLAHRC CP, Cambridgeshire & Peterborough Foundation Trust, Cambridgeshire County Council Childrens’ Services, the Cambridge Film Consortium and the Cambridgeshire Youth Offending Service, the group produced Finding My Way, a powerful animated documentary which reflects their own personal experiences of their lives in foster care. A companion film, Behind the Scenes, is a fascinating insight into how the project developed from an initial idea to the unique finished product. Finding my Way won the award for Best Documentary in the 15-18 age group at the 7th British Film Institute (BFI) Future Film Festival in London in February 2014. The Director of the new CLAHRC East of England (CLAHRC EoE), Professor Peter Jones, opened the launch event, and gave the audience, comprised of CLAHRC CP and CLAHRC EoE colleagues, stakeholders and CLAHRC fellows, the background of the new CLAHRC East of England and the programmes of research that will be undertaken over the next 5 years. CLAHRC East of England is one of thirteen new Collaborations for Leadership in Health Research and Care (CLAHRCs) selected by an independent selection panel. The 13 successful collaborations were announced on 09 August 2013 and £124 million has been allocated by the National Institute of Health Research (NIHR) to the collaborations who demonstrated a substantial portfolio of world-class applied health research, particularly in research targeted at chronic disease and public health interventions, and held a track record in translating research findings into improved outcomes for patients. NIHR CLAHRC East of England will focus on improving the health and wellbeing of vulnerable people in complex health systems while retaining a population health view. Research themes concern: enduring disability and disadvantage; dementia, frailty and end-of-life care; patient safety; health economics and patient and public involvement.